To promote, support, and invest in the wellness and recovery of individuals living in the communities of Kings County by creating opportunities to contribute, learn, work, and find hope in each day. Share knowledge and information, which fosters authority and empowerment in everyone. Create partnerships that are preventative, creative, and positive to our mission. 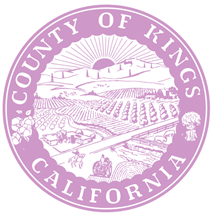 ​The Kings County Behavioral Health Advisory Board is comprised of members/volunteers from the community who are committed to quality Mental Health Services as well as Alcohol and Other Drug Prevention/Treatment programs.